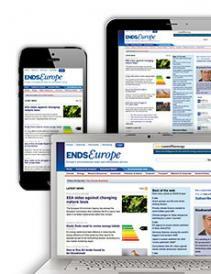 ENDS Europe is Europe's leading environmental news and information service for green policy professionals. Published online since 1997, ENDS Europe delivers daily intelligence updates on European Union environmental legislation, policy and politics on the web and via email. Key topics covered include climate change, carbon and energy, waste, chemicals, pollution and biodiversity protection.